The 12 bar Blues progression and the Blues scale are also explained. Included with this book is a CD with each example recorded twice. The first version of each example has the brass instrument playing along with a rhythm section and the second version just has the rhythm section playing so that the brass player can play along. An optional MIDI disk in General MIDI format is available. 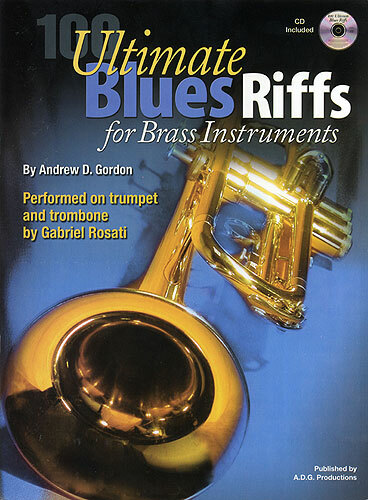 All the examples in the book are notated in the treble clef, however a bass clef version for trombone players is available in pdf format at no charge for customers who have bought the book. Please email us at sales@adgproductions.com and we will email you the bass clef version in PDF format at no charge.